Deon is a resourceful teenager who is soft spoken when he first meets people. He likes to be outdoors and loves playing sports, particularly basketball. Deon also likes playing inside on his game system. Deon desires to be an underwater welder when he grows up. He benefits from the support and guidance of his foster family to help keep him motivated and on track in school. He hopes his adoptive family is as welcoming and supportive of him. 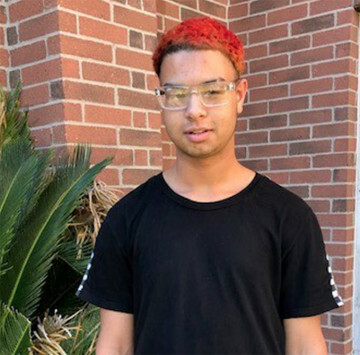 Deon is happy to be learning independent living skills and desires the ability to make age appropriate choices as he moves into young adulthood. He enjoys the responsibilities of doing his chores and helping with the family dog. Leon is able to adapt will to changes in his life and can identify when he is making positive choices. Deon will benefit from a two parent household with a strong male role model who will be a positive influence in his live, as well as provide structure, consistency and stability. Deon will thrive with a family who will provide unconditional love, structure, and stability. His family will support and care for him as he transitions into adulthood. Deon needs a family who will accept him for who he is, while encouraging him to achieve. He desires a family who will be involved yet knows when to allow for free and personal time and space. It is hard for Deon may be cautious initially, so his forever family will need to be understanding and patient in the transition process.